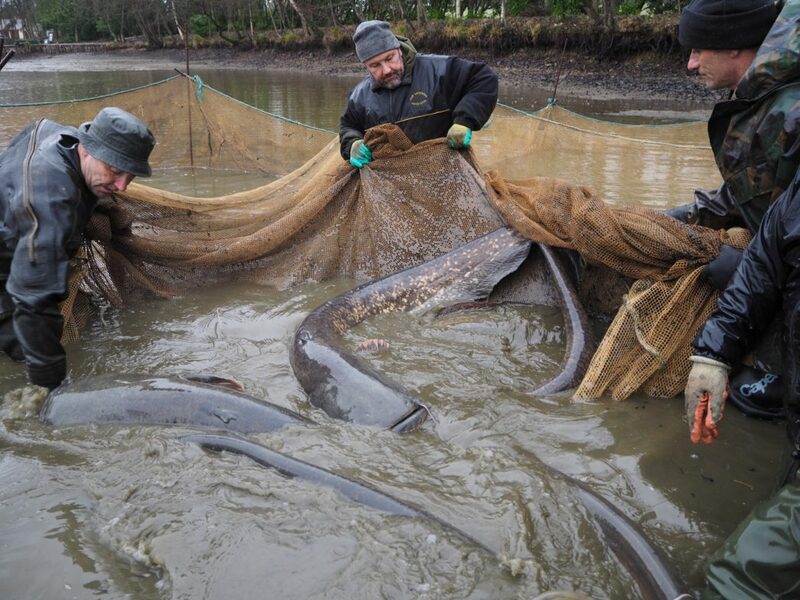 We net Beausoleil every two years to ensure a regular review and management of our fish stock. 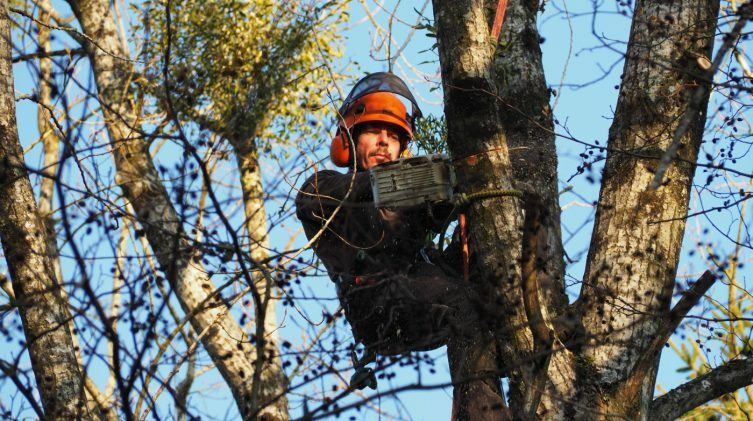 This winter, due to the low rainfall, we had to wait until January to do it. 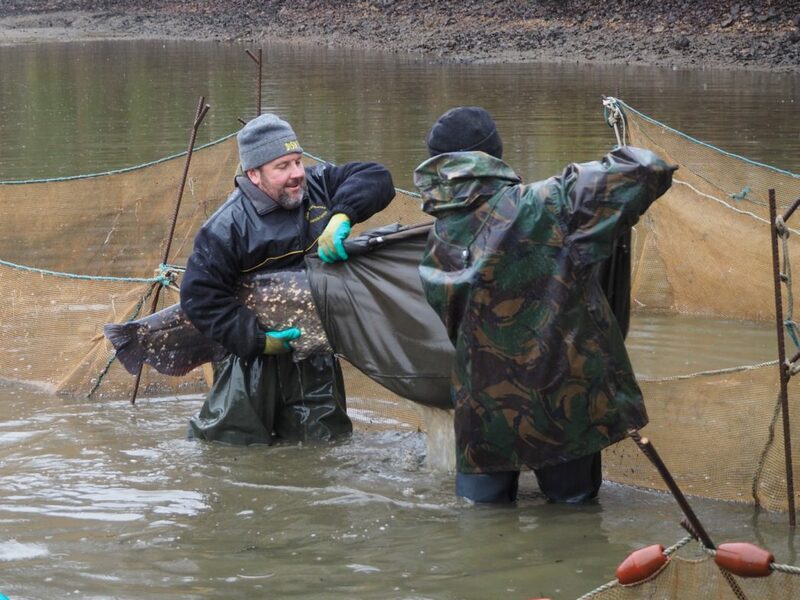 With our team of experts on site, we managed to catch 100% of the carp and cats in the first pull through of the net. 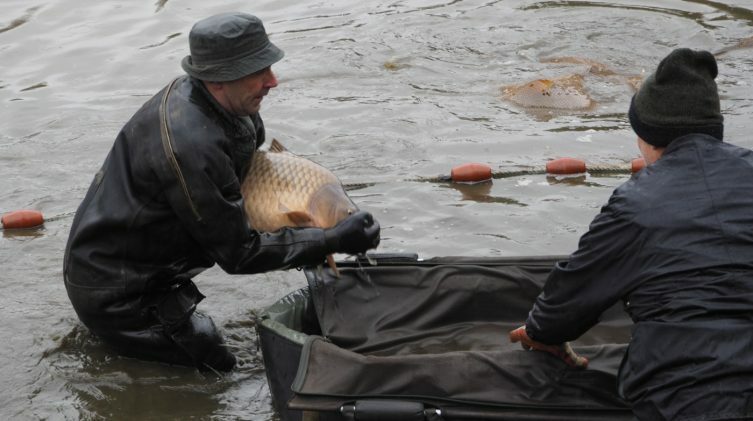 A number of the larger carp were weighed and at least two passed the 40lb mark with 10 more in excess of 35lbs. 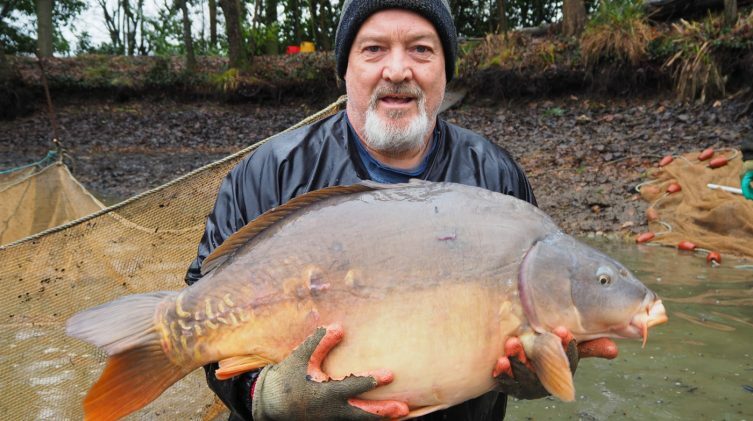 It was impossible to count the massive head of 30lbs+ carp. As usual, the catfish were a real handful to manage on the day and we returned 20 large specimens from 50 to 100lbs with loads in the 80lbs- 90lbs bracket. We also returned a very healthy population of roach, a few pike and zander but found no cray fish or poisson chat as expected. 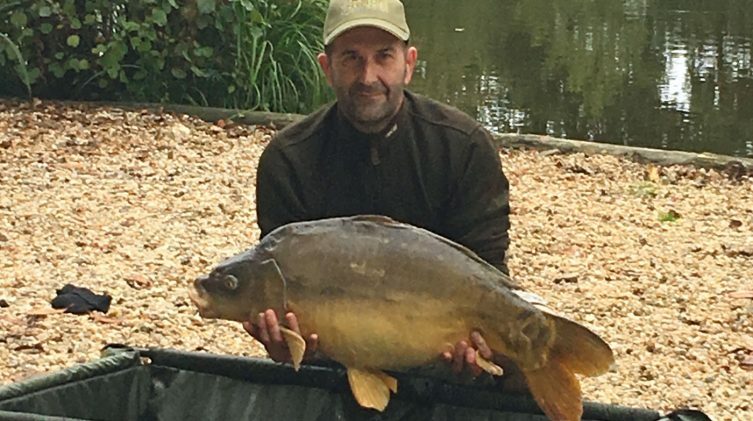 As our visitors who came to Beausoleil in the summer and autumn last year know, we had a real explosion in the population of baby carp. 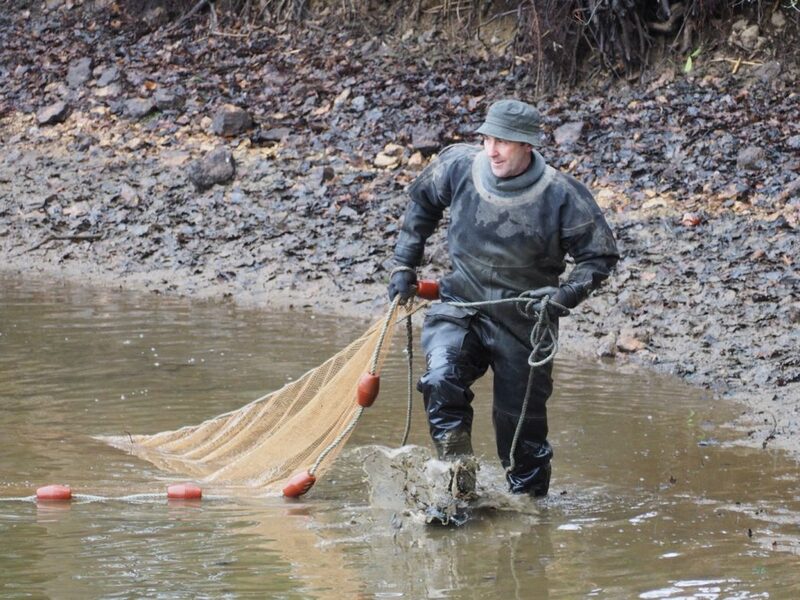 On the one hand, it was a very positive sign that we had such a successful spawning as it means the carp responded very well to the massive de-silting project from 2 years ago. They did make the fishing difficult last year though and we were very relieved to see them removed. 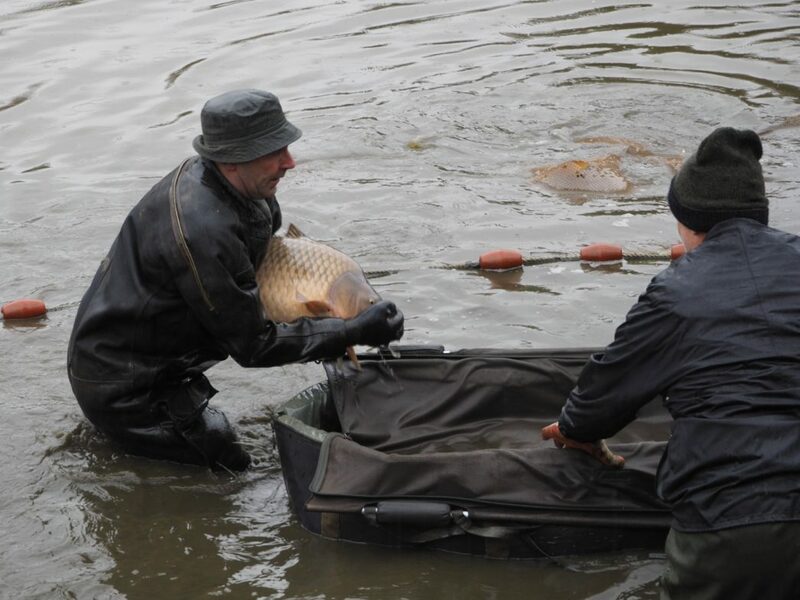 All the baby carp have gone to new homes in the local area and the very best will be grown on for us with a view to re-introducing them in the future. 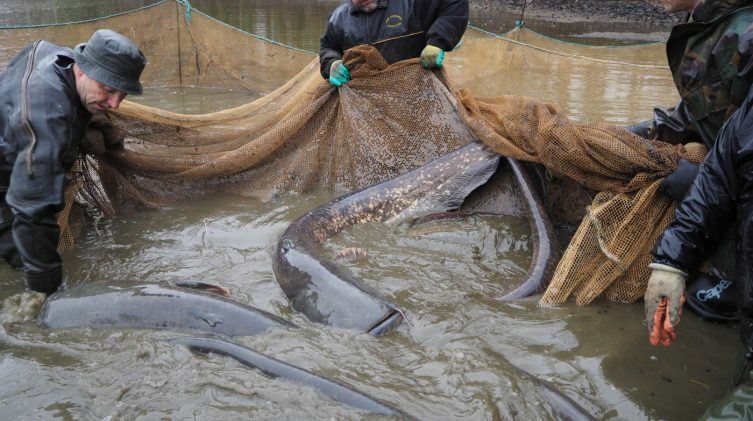 Catfish breed prolifically and left to their own devices can quickly overrun a lake so we also removed all the baby catfish that we did not manage to catch during the year with our Fyke net. 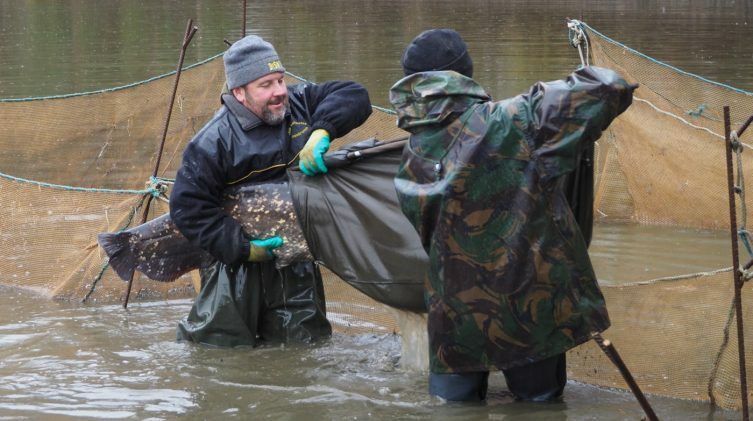 We are now awaiting the arrival of another group of eight virgin Czech Royale carp. 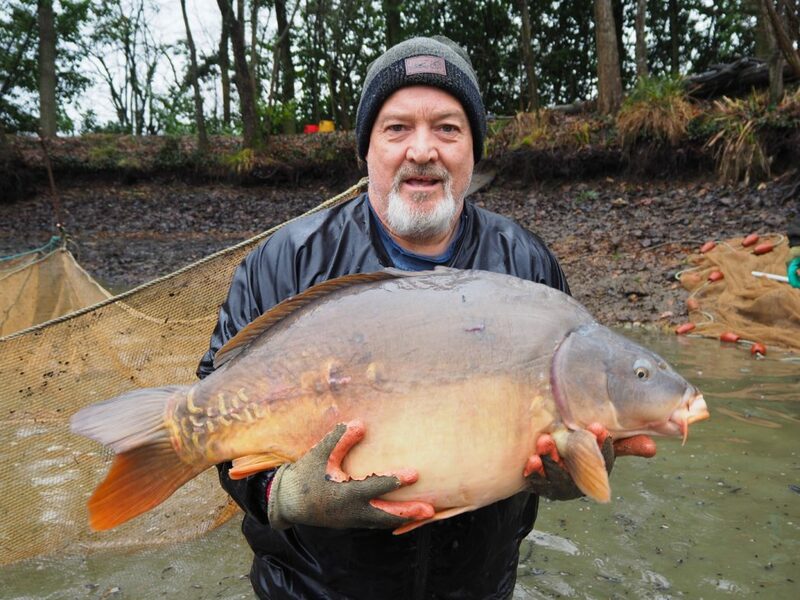 These carp will range in size from 29 to 35lbs and we look forward to seeing them proudly held up for the camera by our guests this year. 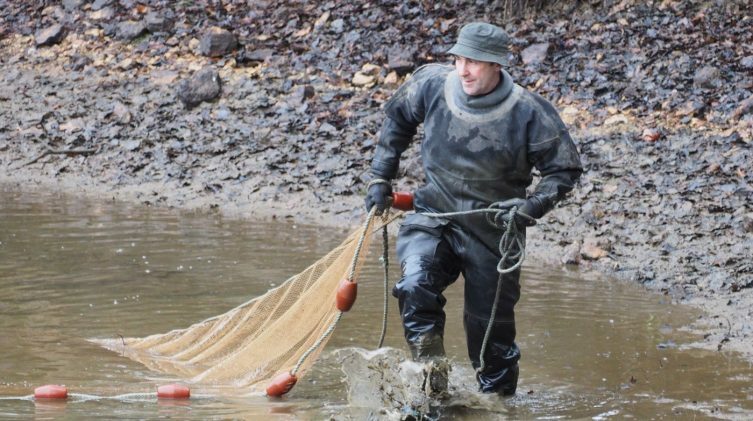 As usual the main focus of the work we do in the winter is about improving the quality of the environment for our stock of beautiful specimen fish. 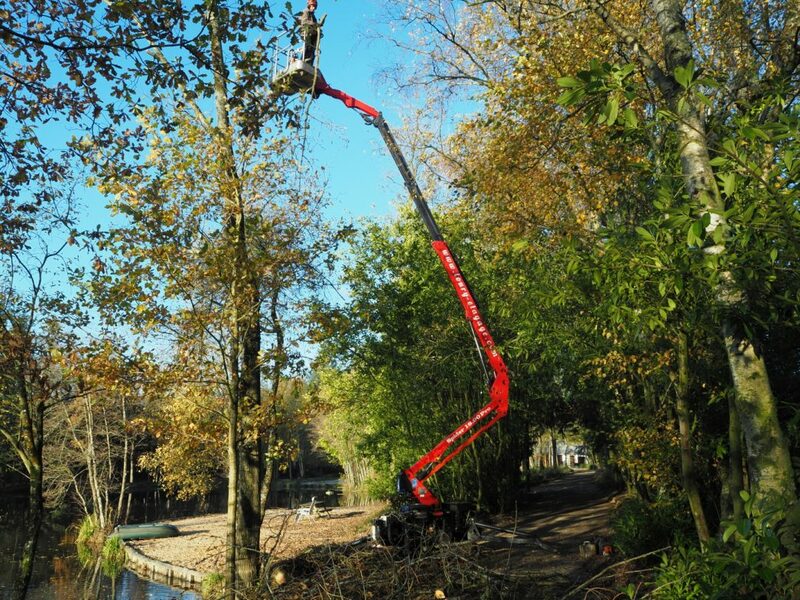 We continue to manage the grounds around the lake and in particular the poplars to minimise the leaf fall in the water as they acidify the water. 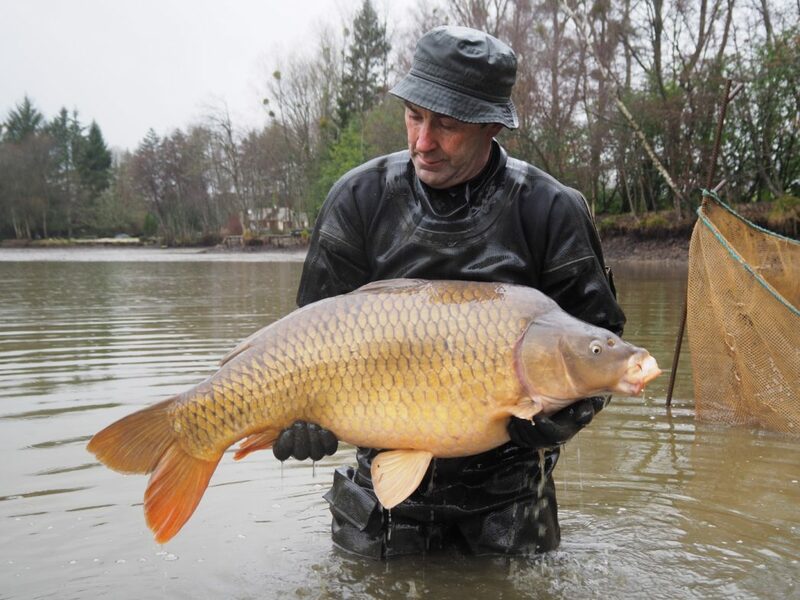 Ideally carp need slightly alkaline water to do well and the removal of poplars helps us achieve this. 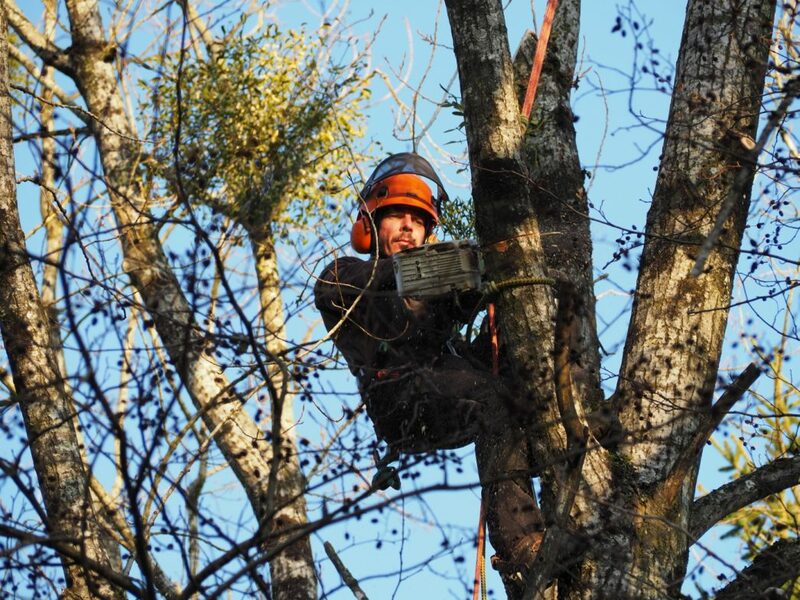 Our crack team of local arborists did a fantastic job and prevented all cut branches from falling into the lake. 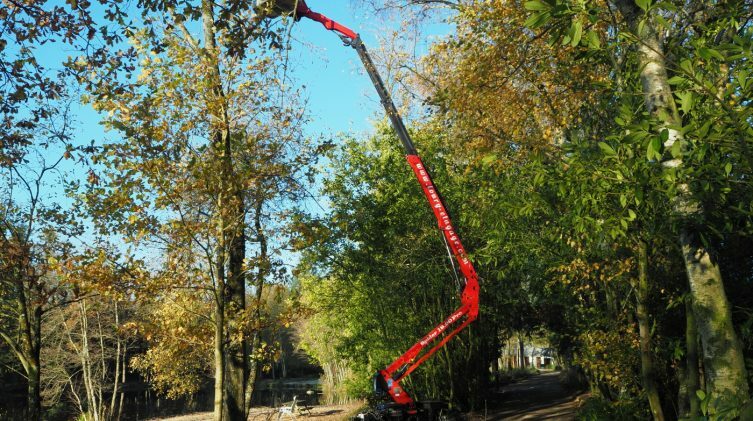 Liming is a great way of accelerating the breakdown of decaying leaf matter. It also sterilises the lake bottom, killing various pathogens which would otherwise be released into the water come the spring. 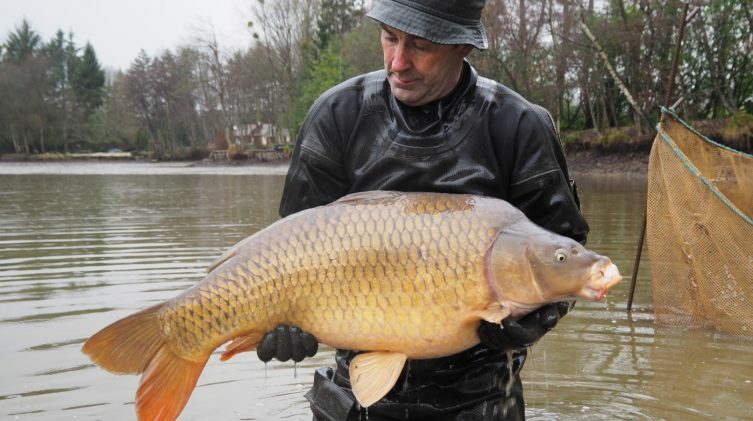 These pathogens are responsible for the premature death of carp which we wish to avoid at all costs. Liming the margins that are exposed while the lake is empty is a very effective method and one we’ll continue to use annually. Once the lake has refilled, further liming treatments are applied to the water’s surface from the boat. 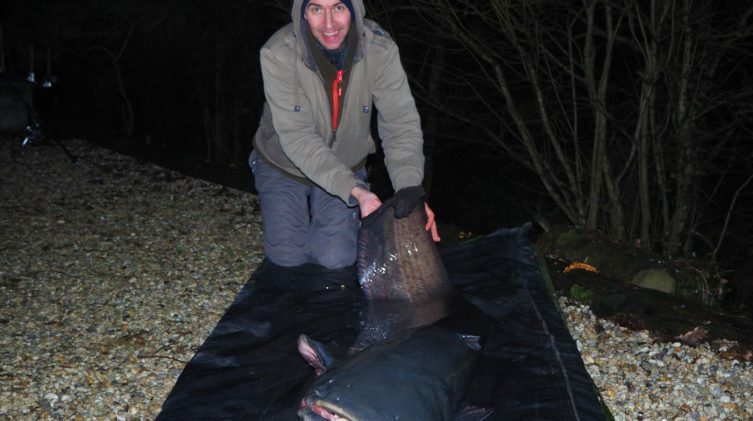 Next Post - 7 February 2017 – A brace of 30lbs+ carp and a 95lbs cat out in early February!